Arrays of teeny tidbits about Pearl Jam’s forthcoming “Lightning Bolt” have been sown all around the interwebs for the last couple of months since the album announcement, from radio DJs who mention they’ve heard it (but are mum on details) and Brendan O’Brien giving interviews, to the band itself teasing us via its site, Vine, Twitter, Instagram and especially YouTube with plenty of official morsels of information. It’s a lot to keep track of, but I’m certainly trying. Following my initial roundup of 10 things back in July, here are 23 MORE facts that we know so far about “Lightning Bolt.” Is is October 15, yet? 2. The album was recorded over the course of two sessions, one in early 2012 and one earlier this year at Los Angeles’ Hansen Recording Studios, according to producer Brendan O’Brien. 3. Mike McCready told 99.3 CFox radio in Vancouver yesterday (Sept. 9) that “about 30″ song ideas (“riffs and basic outlines of ideas”) were in play for the album over the course of the two sessions; 14 in the first session and 15 in the second. 4. Mike also told CFox that “Getaway,” “Lightning Bolt,” “Mind Your Manners,” and “Let The Records Play” were brought in for and recorded during the second session, the one from earlier in 2013. 5. “Yellow Moon” almost didn’t make the album: “I wanted it, so we added that song of Jeff’s,” Mike said to CFox. 6. “Mind Your Manners” has an official video, directed by photographer Danny Clinch and posted on Aug. 23 to YouTube, which features the band rocking out in front of a screen onto which is projected various scenes of disaster (bombs, rising seas, hurricanes). 9. 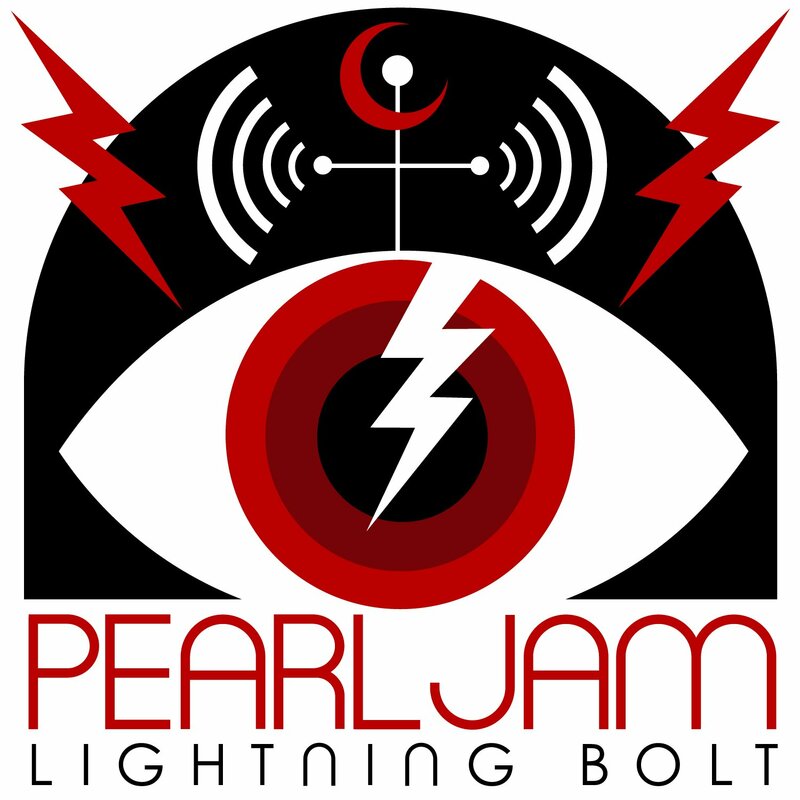 The song “Lightning Bolt,” which fans got to hear when PJ premiered it live at Wrigley Field on July 19/20, was written by Eddie Vedder, according to Mike (talking to CFox). 10. “Infallible” is an example of Pearl Jam exploring “new territory” (again, per Mike talking to CFox) and the song was written by Jeff Ament. 12. The ominous music that plays during the PJ 2013 North American tour video clip remains unidentified. 13. The video clip that PJ posted on YouTube to help announce “Lightning Bolt” back on July 11 includes Jeff Ament playing a 12-string bass on something (interesting). 16. If the song title “Sleeping By Myself” sounds familiar, it should. Eddie released his uke version of that tune on his solo album “Ukulele Songs” in 2011. 17. Pearl Jam posted a video vignette of Jeff playing upright acoustic bass with the hashtag #LightningBolt. 18. “Sirens” is “very melodic and beautiful,” says Brendan. 19. “Swallowed Whole,” is both the name of a song on “Lightning Bolt” and part of a lyric from the 2009 Pearl Jam song “Unthought Known” (“swallowed whole in negatives”). 20. The existence of “My Father’s Son” means now PJ could (if they wanted to) play a set including most of the family, joining PJ songs “Brother” and “Daughter” and covers “Mother” (Pink Floyd) and “Little Sister” (Elvis Presley). 22. The word “siren” hearkens back to Greek mythology, in which a siren was a kind of an enchanting women of the sea whose beautiful, irresistible singing tricked sailors and led to many a shipwreck. Named based on mythology, in the modern sense a siren, of course, is a loud alarm.